Today I varnished both commission pieces from the art show back in October, which means I can officially call these guys done. 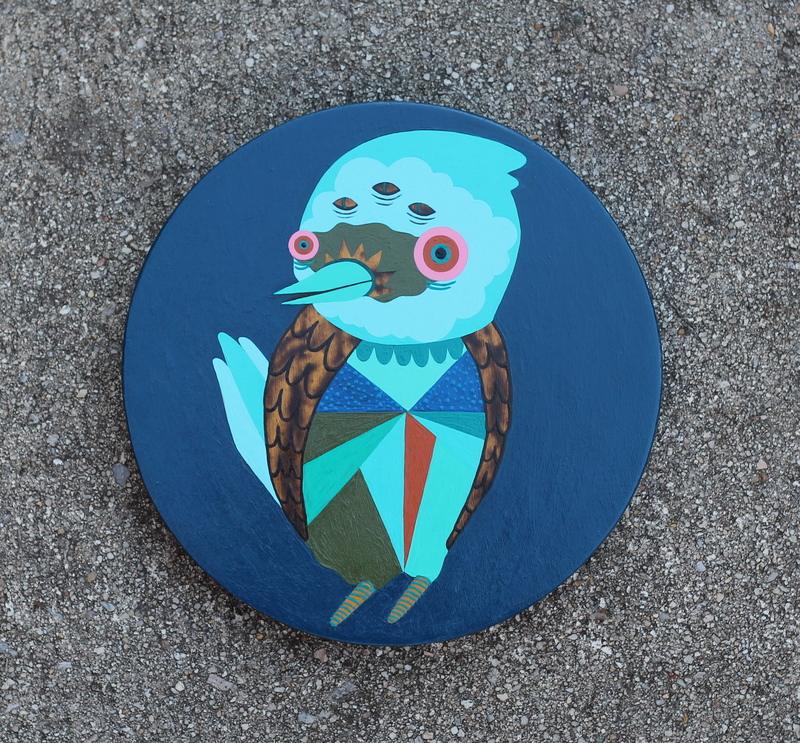 The first piece is another Blue Bird on Birch. I had three of these in the show and ended up selling two to one of my buddies and had another friend take home the third as well as commission a fourth so she would have a set as well. For this piece, I definitely wanted to stay within the original concept, but I also wanted it to be unique. The main differences are in the patterns on the head and body. The color palette stayed the same, of course, to match the one she already took home. I’m pretty happy that all of these guys sold. I had wanted to sell them as a complete set, but to sell two pairs is even better. 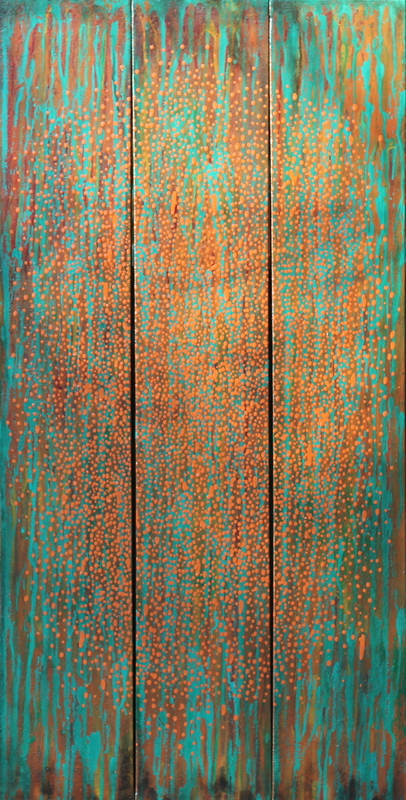 The second piece is the triptych that I built the custom canvases for. This piece was actually harder than usual because of the dimensions – each panel is 6″x36″. The intention is for the panels to read as one image, but they will be hung on the wall with about two inches of space between each panel. While I was working on these, I used clamps to hold the panels together, so I could paint them as one. Still, for some reason, the fact that each panel was so long and skinny made it feel very unnatural to paint. I’m very happy with the way it turned out in the end. My friend/client gave me the size requirements, colors and asked for something abstract, but otherwise left it up to me. Once I got my colors layered in and bathed in a raw umber wash, I went back with the contrasting dots forming an organic circular shape with a heavier concentration in the center. Hopefully my friend will like it too!